Getting around the 14- by 21-mile island of Barbados by car should be easy but it’s not. At least for me. Never mind the whole driving-on-the-other-side-of-the-road thing; I’m talking basic things like Directions (convoluted). Signs (Signs? What signs?). Roads (anyone ever thought of drawing a line down the middle?). It’s so not easy for me to get around that I allow an hour to get to most appointments. An hour’s driving in San Francisco, where I moved to Barbados from, would take me from San Francisco to San Jose (45 miles) on a low-traffic day. Getting to my destination in California looks like this: Take 101 south; west on the Bascom exit; right on Johnson, left on Clift … you know, directions. Directions that are so easy that I can simultaneously drive, listen to the radio, and reapply lipstick. In Barbados, an hour’s drive gets me from the south coast to Royal Westmoreland (10 miles). An hour’s drive gets me from the south coast to Round House in Bathsheba (8 miles). Signs are rare (or rarely helpful). Was this the rum shop where I was supposed to turn right? Or was it this one? 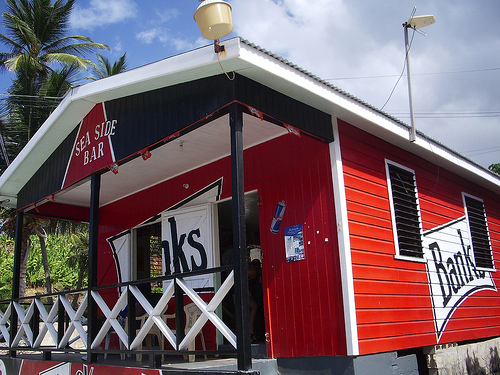 Or was it one of the 1500 other rum shops in Barbados? Fortunately, I’ve lived in Barbados long enough that I know what I need to do. Before setting out to class, I will stock the car with plenty of food and water, make sure my gas tank is topped off, and leave extra early. Also, it wouldn’t hurt to load up on ginko biloba to goose my mental faculties. Still, I worry … what if I sail right by the third bus stop on the left next to 3 coconut trees that he refers to? (Tricky; I mean, there are many, many coconut trees here in Barbados). I’ll definitely leave my lipstick at home. Oh, wait a minute. These directions begin not from my home, but from Lester Vaughn Secondary School. Which I have no idea the location of. Best set out the night before. -Pass another paying field called “Bridge Field playing field” on left. This field has a Pavilion. -After passing through Bridge Field village, continue until you reach a small triangle in the road. -Take the right at the triangle. -After taking the right at the triangle, skip the first left turn (Hopewell Tenantry) and take the second left turn, up a very straight long road called “Ashford Long Road”. -After passing Holy Innocents primary school and church you will see a small round about. Take a right at the roundabout. -After taking the right at the round about, the St. Thomas Post Office will be on your left. -Continue along this main road and begin to count the bus stops ON THE LEFT. The first bus stop on the left is just beyond the Post Office, next to the recreational park also on the left. As you continue, the main road will begin to veer to the left and up a small hill. You will then meet the third bus stop on the left next to 3 coconut trees. -When you have reached the 3rd bus stop on the left you may begin to slow down. -Slowly drive to the top of the hill. As soon as you reach to the top of the hill you will see the 4th bus stop on the left. At this point, you may pull your vehicle over to the left and stop. The building that you are looking for is opposite the 4th Bus Stop on the right hand side of the road. The building, is finished with a coral stone finish. Please feel free to contact us if you are uncertain or if you think that you are on the wrong track. That’s GOOD directions man! You cyah lose! Oh how absolutely delightful!! We have been regular visitors to your Island since 1989 and we ALWAYS get lost, ha ha ha. We were once trying to get to North Point when taking what we thought was the correct left hand turn, we ended up in a field and there was this fabulous man with a stall set up selling things to a constant flow of lost drivers, how’s that for forward thinking. We have driven past the same rum shop 5 or 6 times and they just laugh at you and wave!! Hey ho only 13 more weeks to go before returning to paradise. Love it, please continue with your excellent work. You could always invest in the Barbados A-Z map book with all the roads in it, although some don’t have names yet or you can use GPS here – and it’s free! I agree with white lines down the middle of the roads though. It could save lives, especially at night. I’d go for white lines at the sides as well for night driving. However, paint disappears from the roads so quick… in the heat and rain man. Stephen, I have that A-Z book. I have maps. What serves me best when I’m lost is a friendly wave and a request for help from a nice person! GPS? Really? If we have it here in Barbados, I’ll be the first to sign up! Tell me more! You make me laugh! 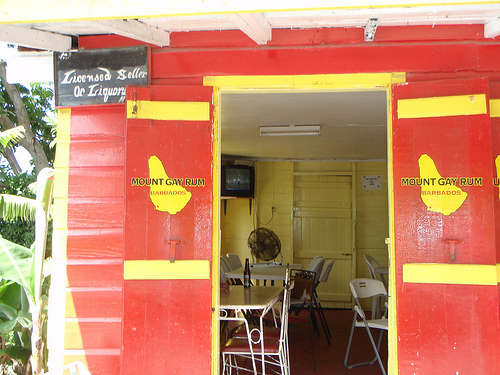 Yep, the same rum shop over and over and over again … been there, done that! One of these days I’ll just park my car and make the rum shop my destination! There’s a lot of Irish in us. My friend Sharon never considers herself lost in Barbados … what I call “lost” she calls “the scenic route.” Wise woman. Whoops sorry Jane, women don’t do maps do they LOL! Stephen, thanks. I take keen interest in this recommendation. GPS is a great thing. Sunshine Skeete, you ask about “above” and “below” …. Well, check out the comment right before yours … Sue refers to “above” her house. I take it to mean “north” but then again, maybe she means up in the air! Love everyone’s comments. 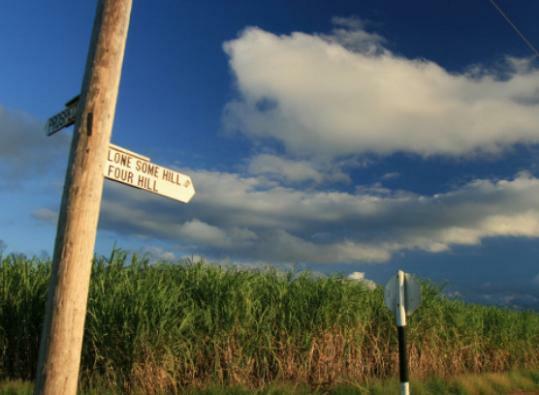 Mostly, I’m so glad I’m not alone out there amongst the sugar cane fields and rum shops! Let me give you the West Indian version of directions or a map…. Overseas (US) there are signs, endless signs- from 10 miles, 8 miles, 5 miles to turn now! I never get to know a place- cause all the signs look the same. Clearly the department of highways does not use imagination as a criteria for hiring! No matter where I am…I can’t ask directions. Nobody anywhere knows where anything is except their house and where they work. Maybe the grocery where they shop. It is just too big for them to know everywhere. So I read the same boring signs everywhere. They tell me nothing about the place. They don’t help me look at the surroundings- they just make everything and everywhere look the same. Then you turn by Bobby’s bar- now as a good traveler you look inside bobby’s bar and decide to stop for a cold one- so now you have met bobby and everyone that lives within a one mile radius. Then you go down to the big green house on the left- Miss Ethel. Outside miss Ethel you notice her grandchild selling breadfruit, so you stop and buy some. You actually turn left by the next road but if you meet Ajax street you have gone too far. Well you reach Ajax street and you turn around. By that corner there are the best watermelons- so you stop and on the other corner is the cold nuts man- so you buy some of that coconut water to go with the rum you will mix when you get to wherever it is you are going. By now you cant even remember where you going but you are sure having a good time getting there…..
Jane you sure you want to go back to those boring street signs? Oh, you make me laugh with this …. and you give me a new appreciation of reaching one’s destination. At the very least you helped me understand 1) why West Indians are so “chill” and 2) why they’re alllllllwwwwwwaaaaaays late! Thanks, lovebarbados. Gosh, you make me laugh. I went to the site …. looks a bit technical to get the GPS. I’ll get a Garmin first then revisit the site. I’m curious what the GPS will actually tell me, given the rarity of street names and street signs. I’m expecting “Left at the coconut tree” in an electronic voice … oh brother! I’ve lived here my whole life and I still am not sure what “above” and “below” mean. But it may be the same as “up” and “down”. 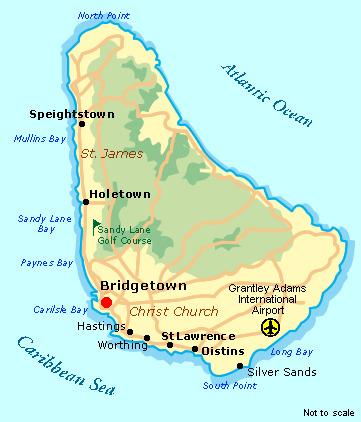 I was told that “up” means away from Bridgetown and “down” is towards Bridgetown. This can be a bit confusing when there is a hill in front of you which goes “down” to town. Appreciate the details here. Was easy to read. Love the directions…I may be moving here and this will feel like home to me. Except in ND it was go until the red barn (like there is another barn color) with the wheat field across from the cows, turn at the sugar beets and drive to the corn field….